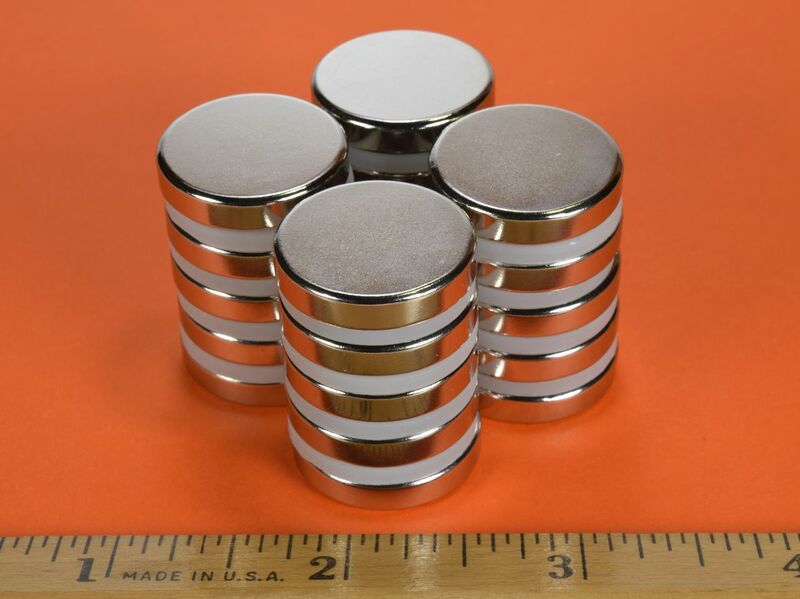 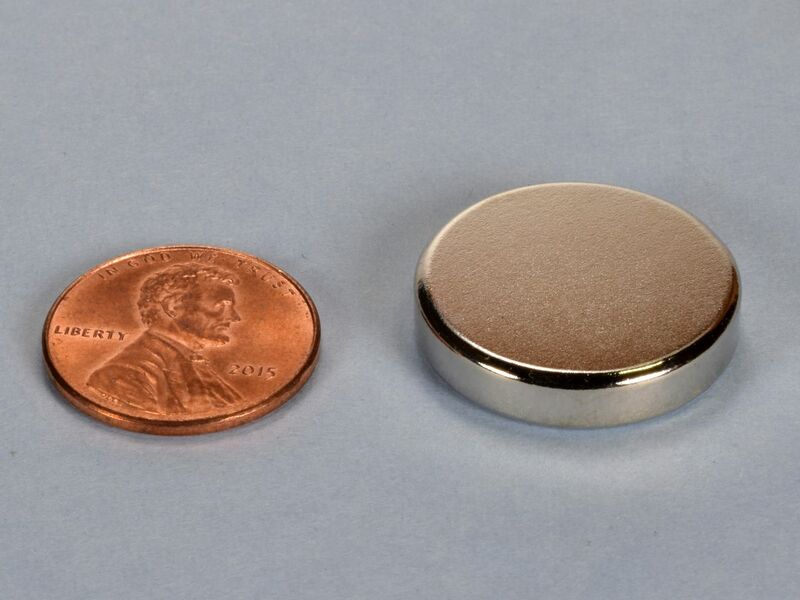 In our quest to offer as many different sizes and shapes of neodymium magnets as possible, here is another great, all-purpose, 7/8" disc magnet. 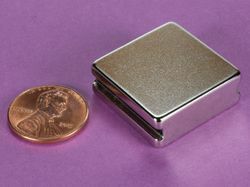 Useful when a 3/4" disc just won't cut it and a 1" is just too big. 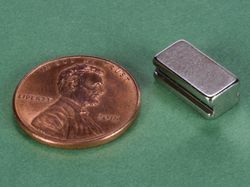 Nickel plated NdFeB with the poles located on the large flat surfaces.